We have a special this time, operated by Hot BuOYS Sailing, to the beautiful area around Phuket. And regular massage therapies are included to give you a fully relaxing experience! 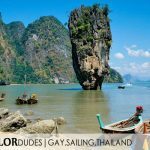 SAILORdudes acts as agent for this cruise, that sets sail in the area on a weekly basis starting in December 2018. Each guest can choose to join one or more from a total of ten cruises. Visit our sailing cruises page for all details about this trip! 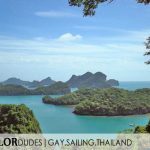 We have a special this time, operated by Gay Sail Philippes, to the beautiful area around Palawan. And regular massage therapies are included to give you a fully relaxing experience! SAILORdudes acts agent for this cruise, that sets sail in the area for almost two months in a row. Each guest can choose to join one or more from a total of five trip sements. Visit our sailing cruises page for all details about this trip!